Under Article 3 common to the Geneva Conventions of 12 August 1949, non-international armed conflicts are armed conflicts in which one or more non-State armed groups are involved. Depending on the situation, hostilities may occur between governmental armed forces and non-State armed groups or between such groups only. As the four Geneva Conventions have universally been ratified now, the requirement that the armed conflict must occur "in the territory of one of the High Contracting Parties" has lost its importance in practice. Indeed, any armed conflict between governmental armed forces and armed groups or between such groups cannot but take place on the territory of one of the Parties to the Convention. - The hostilities must reach a minimum level of intensity. This may be the case, for example, when the hostilities are of a collective character or when the government is obliged to use military force against the insurgents, instead of mere police forces. - Non-governmental groups involved in the conflict must be considered as "parties to the conflict", meaning that they possess organized armed forces. This means for example that these forces have to be under a certain command structure and have the capacity to sustain military operations. Additional Protocol II to the Geneva Convention of 12 August 1949 develops and supplements common Article 3 without modifying its existing conditions of application, by introducing a requirement of territorial control. It provides that non-governmental parties must exercise such territorial control "as to enable them to carry out sustained and concerted military operations and to implement this Protocol". Additional Protocol II expressly applies only to armed conflicts between State armed forces and dissident armed forces or other organised armed groups. Contrary to common Article 3, the Protocol does not apply to armed conflicts occurring only between non-State armed groups. ABI-SAAB Georges, “Non-International Armed Conflicts”, in International Dimensions of Humanitarian Law, Geneva, Henry-Dunant Institute/UNESCO, 1986, pp. 217-239. ABI-SAAB Georges, “Humanitarian Law and Internal Conflicts: The Evolution of Legal Concern”, in Humanitarian Law of Armed Conflict Challenges Ahead, Essays in Honour of Frits Kalshoven, Dordrecht, M. Nijhoff, 1991, pp. 209-223. ANGSTROM Jan, “Towards a Typology of Internal Armed Conflict: Synthesising a Decade of Conceptual Turmoil”, in Civil Wars, Vol. 4/3, 2001, pp. 93-116. BOTHE Michael, “Article 3 and Protocol II: Case Studies of Nigeria and El Salvador”, in American University Law Review, Vol. 31/4, 1982, pp. 899-909. BUGNION François, “Jus ad Bellum, Jus in Bello and Non-International Armed Conflicts”, YIHL, Vol. 6 (2003), 2007, pp. 167-198. CULLEN Anthony, “Key Developments Affecting the Scope of Internal Armed Conflict in International Humanitarian Law”, in Military Law Review, Vol. 183, Spring 2005, pp. 66-109. CULLEN Anthony, The Concept of Non-International Armed Conflict in International Humanitarian Law, Cambridge, CUP, 2010, 219 pp. DAHL Arne Willy & SANDBU Magnus, “The Threshold of Armed Conflict”, in Revue de droit militaire et de droit de la guerre, Vol. 3-4, No. 45, 2006, pp. 369-388. KALSHOVEN Frits, “Applicability of Customary International Law in Non-International Armed Conflicts”, in CASSESE Antonio (ed. ), Current Problems of International Law, Milan, Giuffrè, 1975, pp. 267-285. KWAKWA Edward, The International Law of Armed Conflict: Personal and Material Fields of Application, Dordrecht, Kluwer, 1992, 208 pp. MOMTAZ Djamchid, “Le droit international humanitaire applicable aux conflits armés non internationaux”, in Collected Courses, Vol. 292, 2001, pp. 9-146. MOIR Lindsay, The Law of Internal Armed Conflict, Cambridge, CUP, 2002, 297 pp. “Humanitarian Protection in Non-International Armed Conflicts”, in IYHR, Vol. 30, 2000, pp. 1-226. SCHMITT Michael N., DINSTEIN Yoram & GARRAWAY Charles H. B. (eds), “The Manual of Law of Non-International Armed Conflict: with Commentary”, in IYHR, Vol. 36, 2006, 71 pp. SIVAKUMARAN Sandesh, “Identifying an Armed Conflict not of an International Character”, in STAHN Carsten & SLUITER Göran (eds), The Emerging Practice of the International Criminal Court, Leiden, Boston, M. Nijhoff, 2009, pp. 363-380. ABI-SAAB Rosemary, Droit humanitaire et conflits internes : Origine de la réglementation internationale, Paris/Geneva, Pedone/Henry-Dunant Institute, 1986, 280 pp. BOTHE Michael, “Conflits armés internes et droit international humanitaire”, in RGDIP, Vol. 82/1, 1978, pp. 82-102. BYRON Christine, “Armed Conflicts: International or Non-International?”, in Journal of Conflict and Security Law, Vol. 6, No. 1, June 2011, pp. 63-90. COWLING Michael, “International Lawmaking in Action: the 2005 Customary International Humanitarian Law Study and Non-International Armed Conflicts”, in African Yearbook on International Humanitarian Law, 2006, pp. 65-87. CULLEN Anthony, “The Definition of Non-International Armed Conflict in the Rome Statute of the International Criminal Court: an Analysis of the Threshold of Application Contained in Article 8(2)(f)”, in Journal of Conflict & Security Law, Vol. 12, No. 3, 2007, pp. 419-445. FLECK Dieter, “Humanitarian Protection in Non-international Armed Conflicts: the New Research Project of the International Institute of Humanitarian Law”, in IYHR, Vol. 30, 2000, pp. 1-16. FOUQUET Catherine de (ed. ), Guerres civiles, Toulouse, Presse universitaire du Mirail, 1997. KÜEFNER Stefanie, “The Threshold of Non-International Armed Conflict: the Tadic Formula and its First Criterion Intensity”, in Militair-Rechtelijk Tijdschrift, Vol. 102, Issue 6, 2009, pp. 301-311. PIERNAS Carlos, “The Protection of Foreign Workers and Volunteers in Situation of Internal Conflict, with Special Reference to the Taking of Hostages”, in IRRC, No. 287, March-April 1992, pp. 143-172. SIOTIS Jean, Le droit de la guerre et les conflits armés d’un caractère non international, Paris, LGDJ, 1958, 248 pp. TURNS David, “At the ‘Vanishing Point’ of International Humanitarian Law: Methods and Means of Warfare in Non-International Armed Conflicts”, German Yearbook of International Law = Jahrbuch für Internationales Recht, Vol. 45, 2002, pp. 115-148. VERHOEVEN Sten, “International and Non-International Armed Conflicts”, in Institute for International Law K.U. Leuven, Working Paper No. 107, 2007, 22 pp. VEUTHEY Michel, “Les conflits armés de caractère non international et le droit humanitaire”, in CASSESE Antonio (ed. ), Current Problems of International Law, Milan, Giuffrè, 1975, pp. 179-266. WEHBERG Hans, “La guerre civile et le droit international”, in Collected Courses, Vol. 63, 1938, pp. 1-127. WYSS Gabriela M., Der nicht internationale bewaffnete Konflikt in El Salvador: Die Anwendung des Zusatzprotokolles II von 1977 zu den Genfer Abkommen von 1949, Verlag Hans Schellenberg, Winterthur, 1989, 225 pp. ZORGBIBE Charles, La guerre civile, Paris, PUF, 1975, 208 pp. 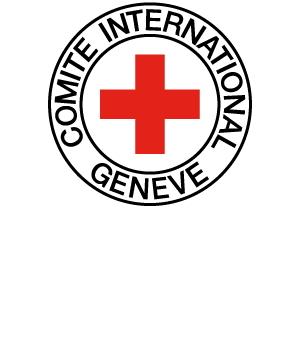 “Declaration on the Rules of International Humanitarian Law Governing the Conduct of Hostilities in Non-International Armed Conflicts”, in IRRC, No. 278, September-October 1990, 5 pp. “Rules of International Humanitarian Law Governing the Conduct of Hostilities in Non-International Armed Conflicts”, in IRRC, No. 278, September-October 1990, pp. 383-403.